I am so excited to introduce our guest poster this week. Meet Becky, one of the AMAZING Crafting Chicks! If you are looking to be inspired in ANY way, you can be sure to find what you’re looking for with the Crafting Chicks. They have projects and inspiration for anyone at any skill level. We love that! So, without further ado, welcome Becky! Hello! 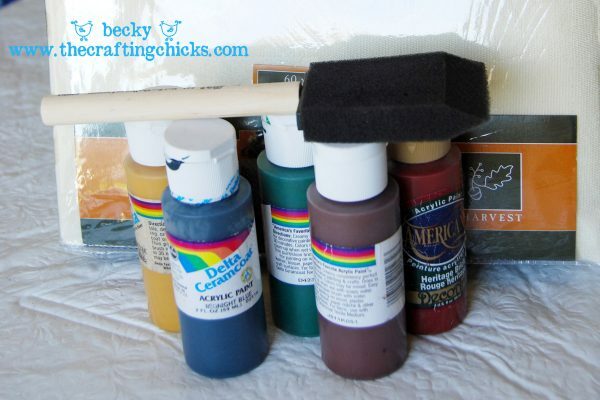 I’m Becky, one of the 6 “Chicks” who writes on The Crafting Chicks. I am so excited to share a fun craft with you on this fabulous site. We get inspired whenever we read fun blogs like HowDoesShe! It is filled with so many great treats! We at the Crafting Chicks love to inspire you as well! 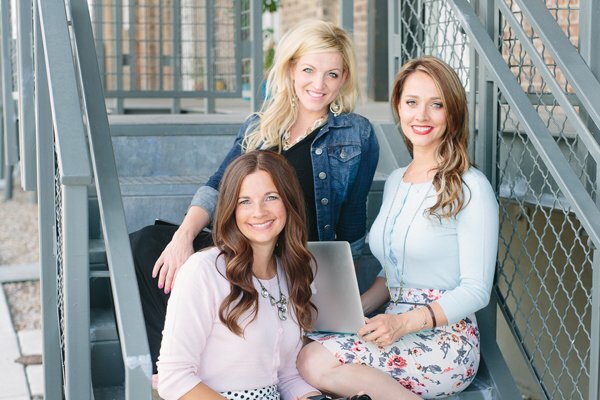 The Crafting Chicks began with friends sharing crafty ideas and along the way, we are excited to say, we have gained a whole community of friends that also share our passion for Motherhood and all things Crafting! Between the 6 of us, we have 21.5 kids and just like many of you are very busy! We often get asked, “How do you do it?” We all have this in common, we would go crazy if we couldn’t craft or get creative. It truly is our therapy. I wanted to show you my fun little Thanksgiving Project. If you follow our blog at all you know that I am a sucker for all things related to hand prints. I love to use these fun little guys to see how my girls are growing from year to year. I also wanted a spin on the old turkey hand print so I thought what better way to showcase it year to year than with a tablecloth. Since we do Thanksgiving at my mom’s usually, I thought I would make the tablecloth for her and get all the grand-kid’s hands on it. First off, make sure the kiddos have clean hands, then begin to paint on the hand the colors that you want. I slopped the paint on there because it seemed to dry pretty fast. Press their hand down and make sure to press out each finger so you can get the imprint. Slowly peel the hand off of the tablecloth to prevent any smudging. Add the eyes, (I dotted them with black paint on the end of a paint brush). Then draw on the feet. Then you can add the beak and wattle (is that what it’s called?). Write on the name and year for each child. Repeat with each kiddo and see how cute your tablecloth has become. Since my sister and I are both expecting, I didn’t want to finish the tablecloth this year. I thought we could add to it each year until the entire skirt is full. It will be fun to see how the hands change each year and it will remind us of how thankful we are for these special kids in our family. 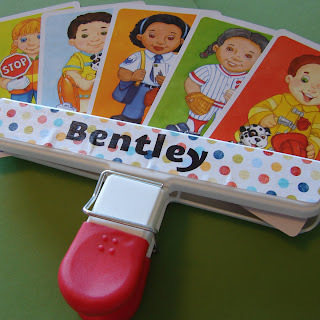 Another fun spin on this would be to have each kid hand print a place-mat. Then they could have their own place-mat each year and add a turkey print. So many fun things you can do. Now if you need some other fun ideas, here are some of my favorites from our site. 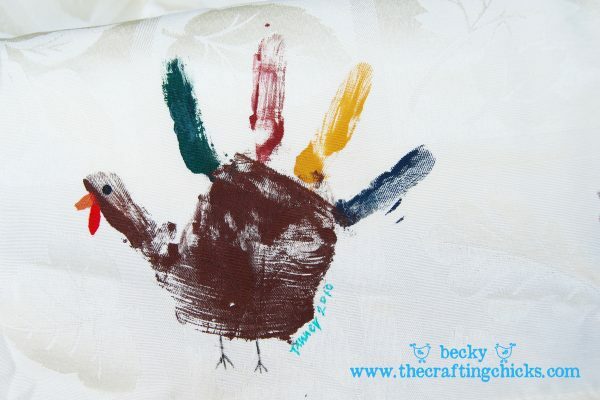 Brooke’s Fun Thanksgiving Canvas (Freebie)! Hope you enjoy! Please stop by and see what we’re up to today! What an amazing craft! I’m always looking for ways to hang on to those little moments with my children just a little longer. How fun to see their handprints grow. 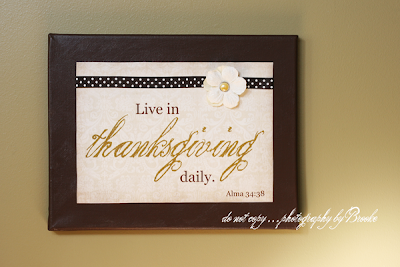 If you have a lot of nieces and nephews, it would be a great craft to do for grandma and grandpa for Thanksgiving. Thanks, Becky for this wonderful idea! « Apples are back in heaven again! .-= Tami Higbee´s last blog ..And yet another =-. Such a great idea!! Thanks again for a GREAT post! .-= Michelle´s last blog ..pumpkin art and a stained shirt =-. Love this! Even for adults! 🙂 Thanks for sharing. I do this every year for Thanksgiving except I put it on a shirt and they wear it that day! Great idea for the table cloth to keep adding to it each year! .-= Melissa´s last blog ..shirts and invites =-. .-= Monica´s last blog ..Play With Your Makeup for Halloween! =-. I love this idea! I can’t wait to make this for our Thanksgiving dinner!!! 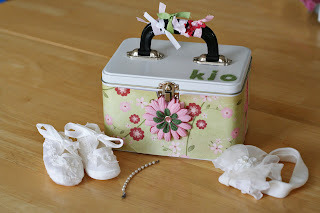 OMG my kids will love this project- too cute! .-= Amy @ Blowout Party!´s last blog ..Pirate Princess Party =-. So fun!!! I would love to do this every year on the same table cloth to watch their hands grow!! Thanks for sharing. I’m definitely going to do this of my little ones hands every yr to watch them grow!!! thank you for this amazing idea!!!!!!!!! .-= Craft Passion´s last blog ..Crochet- Bead Necklace Pattern &amp Tutorial =-. The turkey table cloth is the cutest thing I have ever seen! Wow! I’m going to do my grandsons hand every year till he’s 18. Cute huh? So cute, Brooke! I too have a few hand-print turkey ideas up my sleeve. Those little hands are just too adorable to resist not stamping!! Opps! I meant to say, “So cute, Becky”!! Love this turkey! Looks like a fun thing to do for the “Kid’s Table” for Thanksgiving! Thank you! I loved the table cloth idea so much that I made one with the kids that I nanny. We gave it to their parents as a Thanksgiving gift! Cute idea. What do you put on it to preserve the handprint or can it not be washed?